NORTH CAROLINA (WTVD) -- The best part of Halloween has to be the free candy. And if you're a parent, the best part is eating the free candy your kid scored while they're sleeping - Shhh! Everyone has a favorite candy, but you might be surprised to find out that your favorite may not be a top seller in your state. For 10 years, the CandyStore.com has been tracking the top-selling candy in all 50 states and in Canada. And in North Carolina the top seller is ... M&Ms! However, Reeses's and Candy Corn did come in a close second and third! In recent years, Reese's Cups ruled the land where the Wright Brothers first flew. And Baby Ruth did not make the list, even though Babe Ruth hit his first home run in North Carolina! 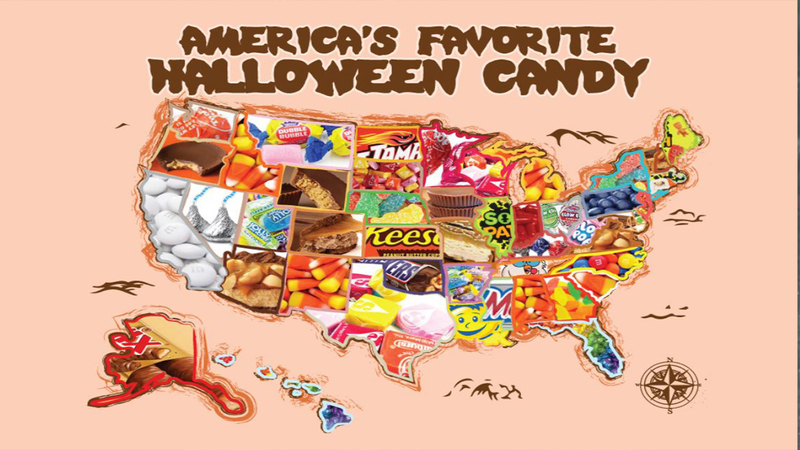 To see a list of top candies in other states, view CandyStore.com's website or view the chart below.